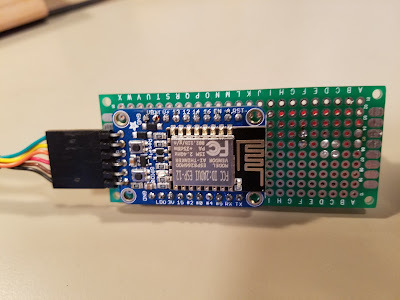 I've wanted an Internet connected read-out for some time now, inspired by the awesome shadow box IoT projects Becky Stern has been doing (weather, YouTube subscribers). I'm certainly not to the same level of packaging as her yet, but I've got a functional display working with a Hazzah and an eBay seven segment display module. MAX7219 display module from eBay. 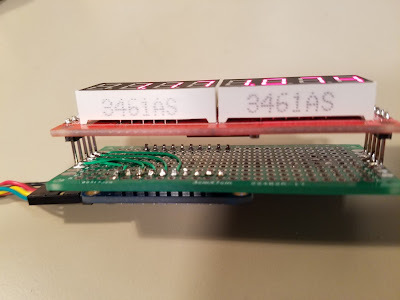 I soldered the Hazzah and display onto a piece of perf board I had laying around, which didn't work so well since the display was longer than the grid of the perf board. I programmed the ESP8266 through the Arduino environment, which means you need to install the Arduino IDE, install the ESP8266 board module following their instructions, and install the YouTube API library through the library manager. You'll also need to generate a Google API key for yourself, which you can do following the instructions on the YouTube API library's README. 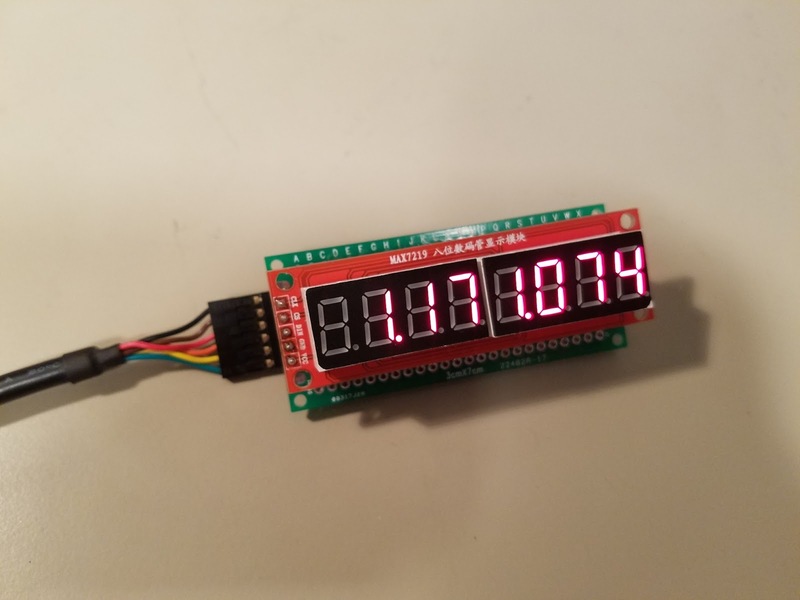 If you wire up the chip select, clock, and data lines differently, you should only need to change the macros at the top of the source code to correctly reflect your setup. Of course, the possibilities here for packaging this display better are endless, as is using either the ESP8266 and/or these $2 displays to display any other information than YouTube channel view counts. The fact that these displays are chainable even makes it possible to make large multi-line displays with them.